Your tires are an important component of your vehicle, making it vital that you have a tire repair service shop you can rely upon. But do you really understand what it is that your tires and wheels do? Yes, they serve as the point of contact between your vehicle and the road, but they are also what propels your vehicle down it. Your engine supplies the power, yet how much is needed depends upon the resistive force generated between your tire and the road surface as well as the weight of your vehicle. To drive, your engine must produce enough power to overcome this friction. That power is manifested in the rotational force of your wheels, which then uses the tires to apply it to the road surface. 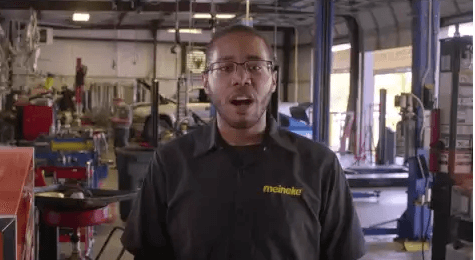 To learn more about how tires work, visit Meineke #943 in Damascus, MD. Tires are one of the most essential parts of your vehicle. They act as the only point of contact between your vehicle and the roadway, so they are vital for proper safety. They can also significantly impact how well your vehicle performs. If you fail to take your vehicle in for a scheduled tire change service, you could be increasing the wear on your vehicle and lessening the lifetime of connected components. You may also be putting yourself, your vehicle's occupants and others on the roadway in danger. As tread wears down on a tire, it does not maintain as much traction, which could cause your car or truck to lose control on the road. 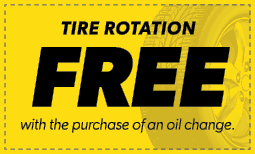 Stop by Meineke #943 in Damascus, MD to learn about a tire rotation service to prolong the life of your tires. What are some signs that you need your tires or wheels repaired? Some may seem fairly obvious. A puncture or blowout will typically have you on the computer or phone researching all of your "flat tire repair near me" options. However, there are other, less subtle signs that your wheels or tires are in need of service. One may be if you experience issues with your vehicle's performance, such as a noticeable shaking in the steering wheel or the entire vehicle whenever you go above 40 mph. Another may be uneven wear across the tread of each of your vehicle's tires. 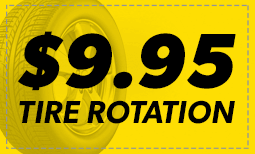 A quick balance or tire rotation service done at Meineke #943 in Damascus, MD can help you avoid ending up getting stranded on the side of the road. Driving with worn-down or damaged tires can be hazardous to you and your passengers. When tires lose a significant amount of tread, they do not handle as well during certain weather conditions. Rain, sleet, and snow can easily pose a threat to drivers with poorly maintained tires. These drivers may experience longer stopping distances and times, and they will be at a higher risk of hydroplaning during rainstorms. Even minor "slicks" can be risky if they occur during heavy traffic. To get the best tire repair service, take your car to a Damascus MD Meineke #943 professional for an inspection. While proper care and maintenance can extend the life of your tires, a trip to your local repair shop for new tires is inevitable at some point. The key is knowing when you should bring your vehicle in for servicing so that you can prevent worn tires from affecting other vehicle systems. At Meineke #943 in Damascus, MD, we recommend replacing your tires at least once every 10 years. Sometimes, replacement needs to be done more frequently. Bringing your vehicle to us for regular inspections will allow you to spot major issues before you end up stranded on the side of the road. If you're in need of new tires, you probably have concerns about the actual cost of tire replacement. While worn tires increase your risk of performance and stability issues on the road, that doesn't make affording new tires any easier. Fortunately, we at Meineke in Damascus, MD can. Once you have your new tires, be sure to make frequent visit to our Meineke #943 web page. We frequently post repair and tire rotation coupons there. This is our way of rewarding the trust you place in us.